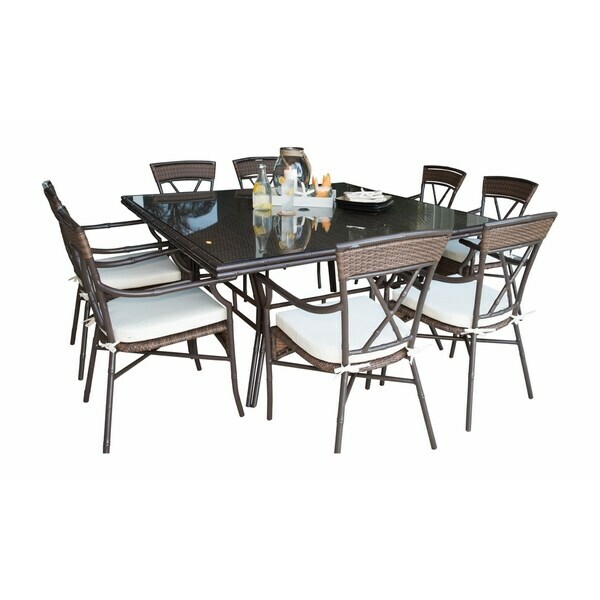 This Panama Jack dining set provides a comfortable and durable outdoor dining decor. Built from an aluminum frame with a water resistant espresso finish, this dining set adds a modern style to your outdoor decor. "Is the table top glass?" The table comes with a glass top.